from left to right, Ashley's wedding, Kansas City at Christmas, Bob and Terri, Missouri wins a bowl game! 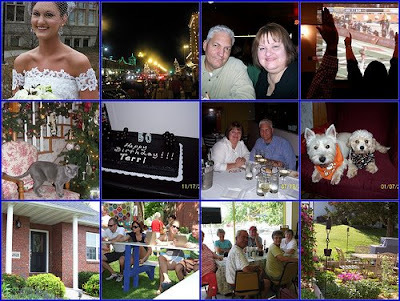 second row, Christmas, my 50th birthday, Bob and Terri, two new puppies! I will stop back by! Wow, you had an amazing year! 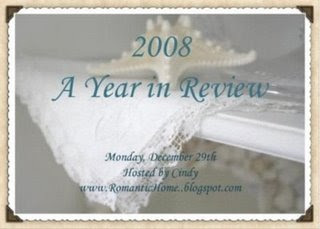 I hope your 2009 is just as good and memorable! Thanks for joining in on my party!!! What a happy year! Happy birthday to you, and congratulations on gaining a son-in-love! Your herb garden loves wonderful. I'm starting to think of spring plantings already. Now that's an interesting way to tie up the year...loved seeing these photos again. I think I missed the new puppies the first time around...so cute! Family is the best way to spend the year! Great mosaic! Lovely pictures! I have always wanted a herb garden! Happy new year! Busy and a fun year. Oh, beautiful pictures! 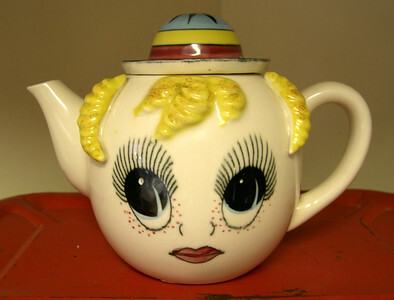 Thank you for stopping by my blog and for your sweetest comment! Please come again anytime at all! I love your little puppies! My dad grew up on Strawberry Hill. Nice to see KC at Christmas. What a wonderful year filled with milestones! Happy New Year! What lovely pics & what a beautiful bride! I'm especially partial to the pups!! Looks like you've had a wonderful year. Happy 2009! Oh how I love weddings. Thanks for stopping by my blog and have a happy 2009. Worth coming back for! Gorgeous images. Beautiful. Happy 2009 to you & Bob! Enjoy! Looks like a fun year! Such a beautiful bride and cute puppies! Have a very Happy New Year! You had a lot go on this year. Fun! Happy New Year! Love this!!! You had a fantastic year!! Hope 2009 brings great things to you and your family, as well!! Thanks for your visit. I love your photos. Have a great 2009! It looks like you had quite a year! Great photos! It looks like you've had a very good year! Have a wonderful 2009. I'll be turning 50 too! Wonderful memories and such a beautiful bride! Thanks for sharing and have a happy New Year. What an amazing year all of you had!! Thank you for always sharing it wih us. I adore you Terri...you are a special lady! It looks like a great year! What a wonderful year you had.